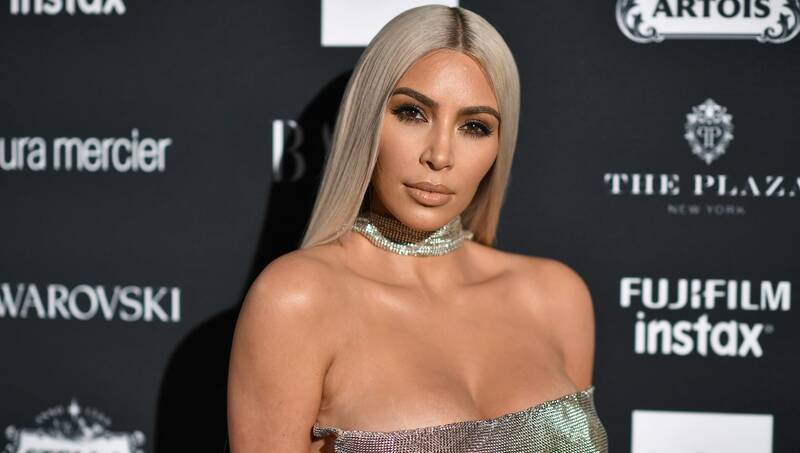 Kim Kardashian West, the chic queen bee of social media and marketing, has some advice for fellow parents seeking to be present for their kids: unplug. Kardashian West attended the Create & Cultivate event on Saturday, Feb. 24 in Los Angeles and chatted to best friend Allison Statter about family and career. The Keeping Up with the Kardashians star and beauty guru shares daughters Chicago, 6 weeks (delivered via surrogate), and North, 4, with hubby Kanye West. The two also have a son, Saint, 2. Her phones-away advice was served up just a few days before Kardashian West shared her first (mouse-filtered) photo of new baby daughter Chicago — on Instagram. Oh, well. This is the second time we’ve gotten a glimpse of little Miss Chicago. She appeared with Kardashian West on-screen for the first time in Auntie Kylie Jenner’s 11-minute video welcome to her own baby, Stormi. It’s maybe the cutest photo ever. We feel you, Kim. You contain multitudes. It’s a mom thing. We’re sure you put your phone away immediately after choosing the mouse-ears filter. Maybe you even did some mindful mommy-and-baby yoga near a wall of succulents while burning sage. What’s important: adorable babies, mouse ear filters, the whole shebang.